Day 4 – 30 Paintings in 30 Days ! Queen of Scrabble !! 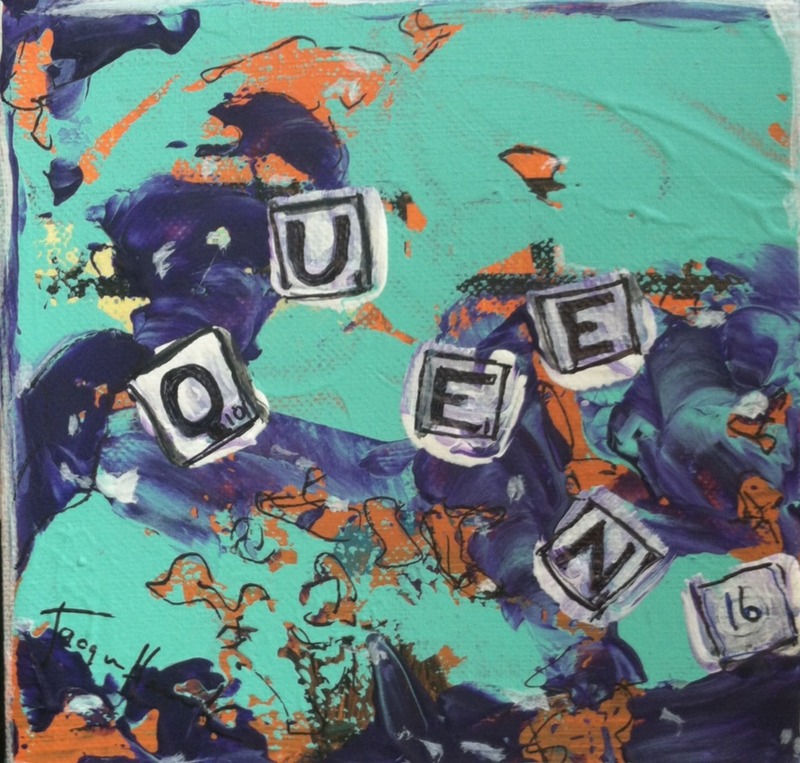 This is a small 6 x 6 acrylic and ink abstract to honor those reigning years !